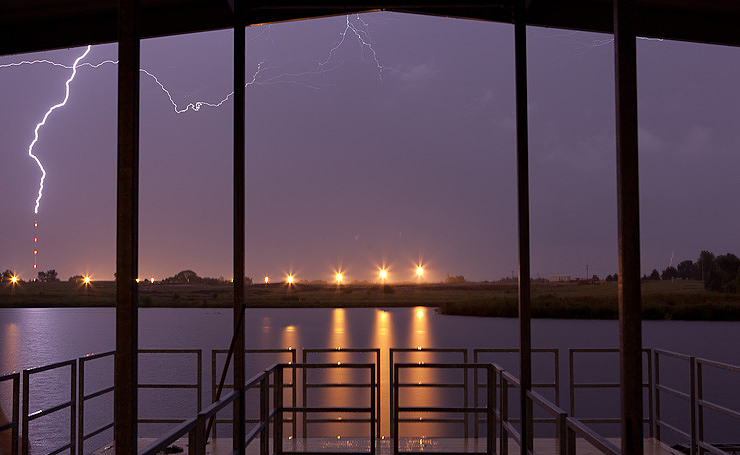 Lightning over Discovery Lake, Columbia, Mo. | Canon 5D Mark II and 24-70mm f/2.8L lens @ 30mm; exposed 6 seconds @ f/8, ISO 800. Last week, my friends Jakob, Calin, and Jamie called me up to join them on a small lake near Discovery Parkway in Columbia, Mo. to fish. Well, they fished. 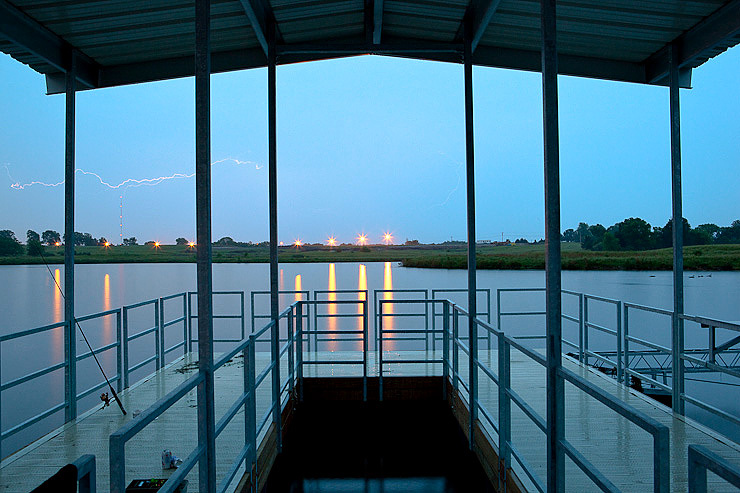 I fished for lightning photographs. Lightning strike on the cell tower, Discovery Lake, Columbia, Mo. | Canon 5D Mark II and 24-70mm f/2.8L lens @ 43mm; exposed 2 minutes, 36 seconds @ f/8, ISO 100. Lightroom 3 on its way! The lake, which is really Philips Lake, is located on Gans Road / Discovery Parkway on South 63.